The private sector in Myanmar faces serious challenges, despite impressive economic growth and the implementation of important government reforms. These challenges are reflected in many of the studies and surveys that have been conducted in recent years, including the World Bank Group’s Doing Business 20165 survey, which ranked Myanmar at 160 out of 189 countries. This report focuses on the top six problematic areas that are consistently cited in reports and evaluations. 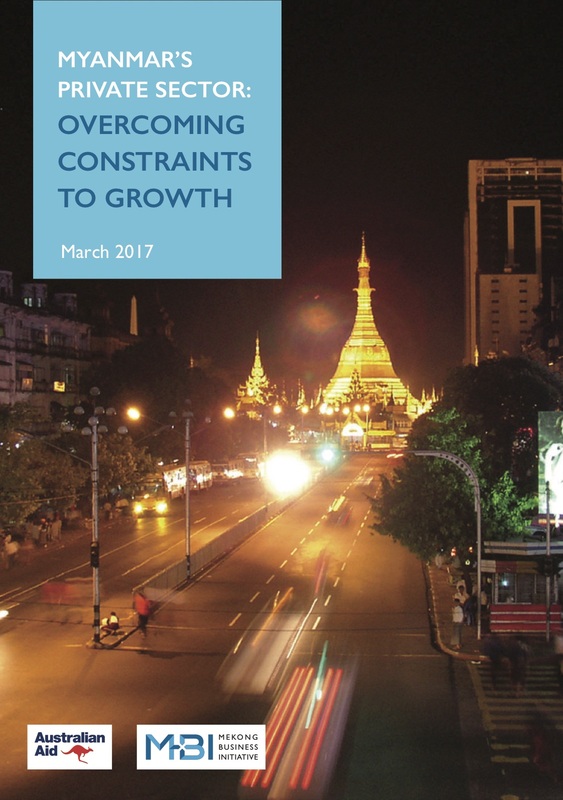 These top constraints need to be addressed so that Myanmar can reach its potential in creating employment, improving productivity, and competing at a regional and global level.